Numismatic Myths or Are They? Coin collectors love a good story, even if it is not true. New research substantiates some myths and refutes others. Many myths and popular stories include some elements of the truth or historical events. Some are simple historical events, others concoctions to make the inventor seem more important, or to pump up the value of a coin or collection. This essay will relate a few well known numismatic myths stories and then tell you what really happened. The reality comes from new research in the national archives, museum collections, university archives, Library of Congress and the personal papers of many of the participants. Whether you prefer the “myth” or the “reality,” it is hoped that you will find them both a good story. 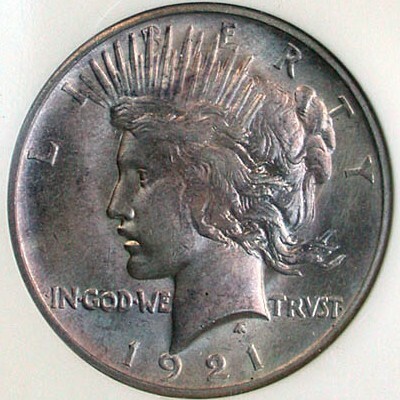 According to numismatic researcher Walter Breen, writing in his Encyclopedia of U.S. and Colonial Coins, the 1921 high relief design was too high to strike properly. So mint engraver George Morgan took a board and whacked the galvano until it was flatter and lower in relief. Morgan then cut new hubs for the 1922 and subsequent issues. Did this really happen? Research shows that there was no flattening of the galvano as claimed by Breen because there never was a galvano. Designer Anthony de Francisci supplied his own bronze casts. Two other intermediate relief versions were made in January, 1922. Both were failures. Finally, de Francisci made new, low-relief models for 1922 and trial strikes were made and approved on February 14, 1922. Another popular story says that in December 1921, just before the first coins were to be struck, Congress objected to a broken sword shown on the reverse. Since there was no time for the designer, Anthony de Francisci, to make new models, Mint engraver George Morgan quickly created a new reverse and used it in place of the original. This saved the project from failure. Did this really happen? The design competition called for one obverse design and two reverse design. De Francisci submitted two reverse designs to the Commission of Fine arts on December 10, 1921. One design resembled the eventual design. De Francisci modified this reverse design using suggestions from James Fraser. This included a broken sword held by the eagle. The design was approved by the Mint director, Assistant Treasury Secretary, the Secretary of the Treasury, and President Warren G. Harding. A bronze cast was made of this design and sent to the Philadelphia Mint where engraver George Morgan cut a hub in preparation for striking coins. In announcing the new coin, a Treasury Department press release mentioned a “broken sword” was part of the design on the reverse of the new coin. This was noted by the New York Herald in a scathing editorial. Subsequently, cards, letters, telegrams, and phone calls objecting to the broken sword swamped the Mint, Treasury, congress, and White House. Fraser and CFA chairman Moore suggested that the sword be cut out of the steel hub. Mint director Baker was on his way to San Francisco, so assistant secretary Malburn and acting director O’Reilley gave instructions for Morgan to do the work. Beginning early on December 23, Morgan, accompanied by de Francisci, began removing the sword from the hub. He also had to work on the master die to compete the removal. Morgan added an olive branch and made other changes. No public mention was made of Morgan’s work. Treasury simply told the public that the sword was in one version but not the version that was used. 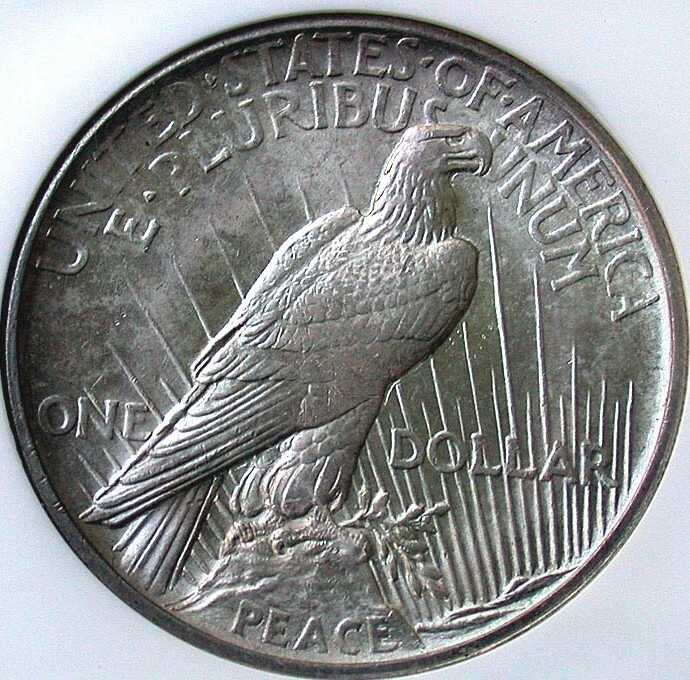 Morgan saved the Peace dollar from failure. A persistent Buffalo tale is that in preparing the hubs and dies, engraver Charles Barber eliminated most of the field texture contrary to designer James Fraser’s wishes. Another is that Barber also made the bison on plain version without the sculptor’s approval. Fraser was very upset about the way his design had been treated. Is this true? 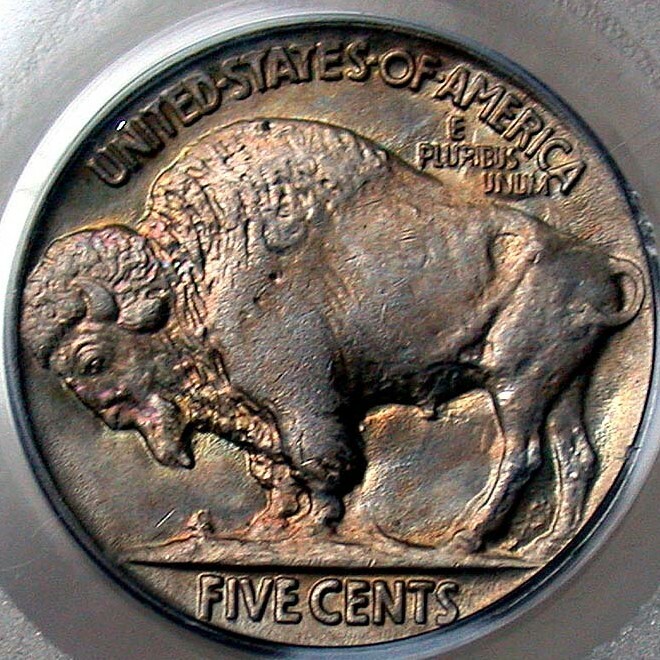 I find the engraving which was necessary to make the two sides of the coin fit exactly, the reduction of the edge and the simplifying of the background under the Buffalo’s head is beautifully done, showing no difference between the surface which I put on the models and the one they have made. I am delighted with their work at the Mint. Your letter of April 22nd last [sic—April 23rd] together with enclosure reached me in due course, and it seems to me that the nickel enclosed with the “Five Cents” made clearer is good and does not at all interfere with general design. One of the most popular and attractive coins ever issued by any country. As would be expected from a coin created through the cooperation of President Teddy Roosevelt and sculptor Augustus Saints-Gaudens, there are many interesting stories about the people involved. One story goes that Mint engraver Charles Barber, who harbored an intense dislike for Saint-Gaudens, was unable to make low relief dies from Saint-Gaudens’ models in late 1907. 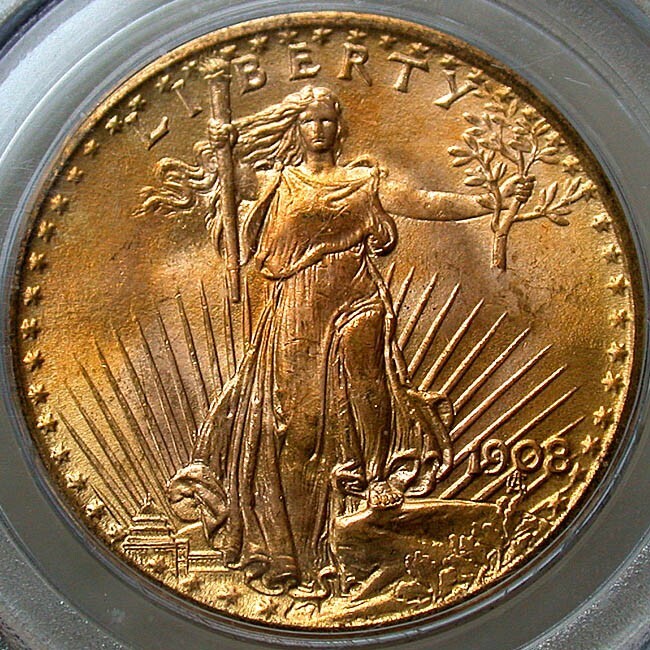 In another story, to get the coins into normal production Barber made new models copying Saint-Gaudens’ design but introducing his own variations, including changing the date to European digits, that damaged the artistic quality of the coin. Saint-Gaudens provided the first two plaster models. The first model was delivered in December 1906. The second was the Very High Relief model that was used to make the high relief MCMVII pieces. Henry Hering submitted a third, lower relief model with European date as agreed in May. The relief on the third model was too high to coin with the Mint’s production equipment. Using the Janvier lathe caused too much detail to be lost in the reduction making the design dull and washed out. To get the coins into production as Roosevelt wanted, Barber recut detail into the hub by hand. Result was the 1907 production coin. Henry Hering, who was Saint-Gaudens’ principal assistant for the coin design project, says that he anticipated problems with the mint over the relief of the coins, and had reductions made of Saint-Gaudens designs in Paris. These were in several different reliefs. Although the mint eventually turned out acceptable low relief coins, the officials refused to pay Mrs. Saint-Gaudens for her late husband’s work. Henry Hering claimed in his 1947 article in the Numismatist that the quality of reductions for the reverse of the $10 coin was an issue. Hering claimed the Mint refused to pay Augusta until he proved the Mint’s reductions were inferior by comparing them with ones he had ordered from Paris. Negotiations between the mint and Saint-Gaudens’ Estate were handled by Charles Brewster, Augusta’s attorney. They finally settled on a payment of $6,000. Plus Augusta was sold one of the two Extremely High Relief (EHR) pattern pieces from the Mint collection for $20 plus postage. By November 1907, Hering was superfluous and more of a nuisance than anything else. He had no role in helping Augusta get the money the mint owed her. Adapted from the presentation “Myths and Tall Tales” by Roger Burdette given to the Montgomery County Coin Club on March 13, 2007. All images courtesy of The Coin Page.